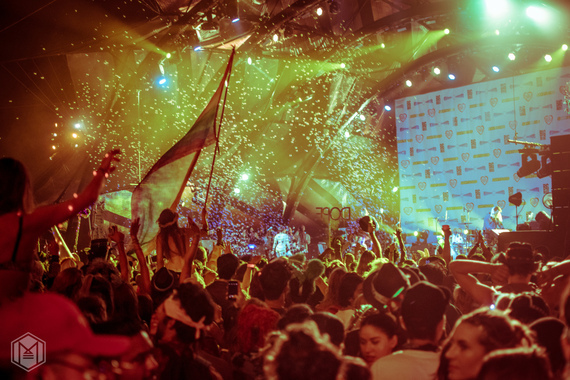 Though many avid festival-goers are beginning to recover their battered bodies, brains and bank accounts from the seemingly endless barrage of music festivals this past season, that doesn't mean the party is over. Quite to the contrary in fact, as new data from Eventbrite suggests. Spending time at home in front of the TV instead of sleepless nights in dusty deserts surrounded by freaks and bass music has its moments, but after awhile, the restless spirit gets tired of resting. Thankfully, us party deviants have the holiday event season to look forward to which kicks off this Halloween weekend and closes with New Year's Eve as its grand finale. Events such as L.A.'s Minimal Effort at Los Angeles Center Studios are drawing crowds from all over Southern California. Many event organizers are shifting their focus from large scale festivals to smaller, local events that offer all the accoutrements of a grandiose festival without having to spend hundreds of dollars just to schlep all your camping gear into the middle of nowhere. Many organizers are bringing the aesthetics of music festivals to their venues, offering a more convenient setting without sacrificing production value. Ranging from arenas to small clubs, one can experience beautiful live art, stellar lineups, and performance artists in their own city which allows for a broader audience to attend. Eventbrite, a leading global marketplace that powers two million events each year, has uncovered some key insights into the holiday event season. They have seen a huge increase in both free and ticketed Halloween events on their platform this year which means that participants as well as organizers are putting more emphasis on Halloween parties than before. This leads to event organizers seeing higher profits on Halloween parties than in recent years so as a result, they are investing more money and resources into better performers and venues. 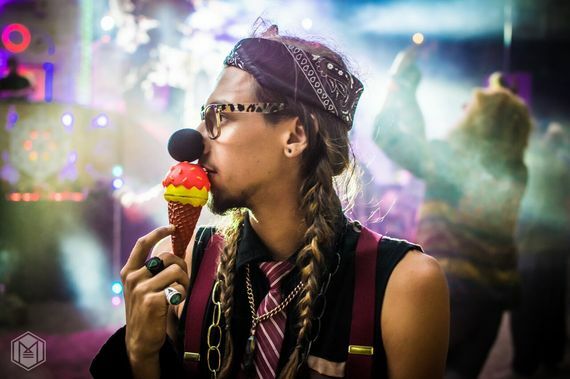 There are also large scale raves and underground Halloween parties that are happening, many of which are not included within the statistical data, despite the controversy surrounding several popular EDM festivals. Regardless of the type of parties occurring, there is no doubt that there are more than a plethora to choose from. From 2014 to 2015, Eventbrite saw a 64% increase in ticketed Halloween events which boasted a 76% increase in gross ticket sales during the same time period. While this data represents last year's statistics, the company expects 2016's numbers to be even higher when they pull this year's data after the holiday is behind us. New Year's Eve events will also be included in future statistics as they mark the finale of the holiday event season with organizers placing an equal emphasis on the holiday. Because many of the same venues who throw raging New Year's Eve parties will also have just hosted Halloween events, they will continue to evolve and improve for future events. While Halloween has both big and small cities coming alive with parties of all crowds and sizes, in venues that range from the streets of West Hollywood to intimate indoor venues, New Year's Eve seems to mark a resurgence in the festival season. Events such as SnowGlobe in South Lake Tahoe, Cosmic Convergence at Lake Atitlan in Guatemala, Bass Nectar's New Year's Eve at the Birmingham-Jefferson Convention Complex in Alabama, Decadence at the Colorado Convention Center, and many more are all boasting superstar lineups and sparing no expense on epic production. Both Halloween and New Year's Eve bookend a season of partying that is taking place at several small and often more intimate, local venues, further connecting the community. This event season gives the fairweather partiers their chance to cut loose as well as avid festival-goers various places to satiate their appetite for fun until next season.